Gasa Hot Spring trekking is one of the easier treks in Bhutan although it is advisable to connect the walking days and walk up to the tsachu from Tashitang road head in one day. Soon the road will reach Damji. Then the Gasa Hot Spring Trek will decrease to a three day trek. Although the altitude difference between starting and ending point is minimal, the many ups and downs on the way can make it more strenuous than it looks at first sight. However, the relaxation at the tsachu and the views and a visit of Gasa Dzong are absolutely rewarding. From April to September one will have lots of leeches en route. They love the warm and humid climate of Punakha valley, and they will love you! On arrival at Paro airport, received by our representative and transfer to Thimphu. Overnight Thimphu Hotel. Full day city tour visit; Memorial Chorten, Tashichho Dzong, National Library, Art School, Traditional Medicine Institute, Handicrafts Emporium and Textile and Folk heritage Museum. Overnight Thimphu Hotel. The path leads through sub-tropical forests and villages up to Gasa Tsachu (hot spring). 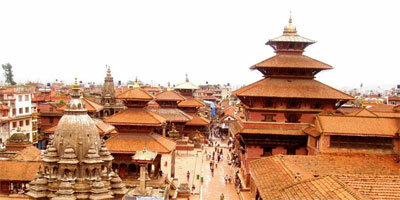 The Tsachu is a famous place where people from all over the country come to have bath. Overnight Camp below the Dzong at an altitude of 2,900 meters, walking time 3 to 4 hours. Our trek follow same route and arrive at Damji. Drive to Punakha. Overnight Punakha Hotel. After breakfast, you will drive 12 kilometers north of the valley and hiketo Khamsum Yulley Namgyel Chorten, which is situated on a beautiful hillock, called Nizergang. 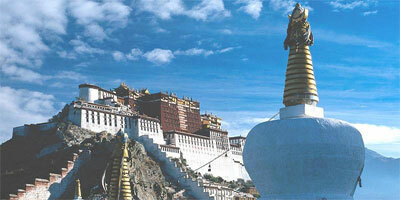 It houses the paintings that belong to Nyingmapa Tradition of Mahayana Buddhism. You will serve hot lunch at Mo- chu (female river) side. 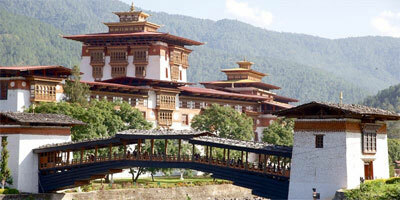 After lunch drive back to Punakha and you will visit Punakha Dzong, the formal capital of Bhutan. 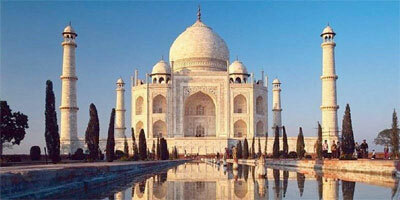 It was built by Shabdrung in 1637 and situated in between the male and female rivers. From there take 5 minutes walk to suspension bridge. Overnight Punakha Hotel.